Is your laptop keyboard not working? Have you had a major spill recently? Or is your laptop keyboard missing too many keys? Maybe it’s time for a laptop keyboard replacement. PCMechanic Computer Repair in Davenport, FL is the place to go to replace a semi or non-functioning laptop keyboard. Click below for contact form. My company provides laptop keyboard replacement services for all laptop brands and models. I will replace your keyboard and have it back to you in no time. Read customer testimonials about my business. A laptop keyboard is an essential user interface part that is prone to malfunction. It is a component that sees a lot of use over its lifetime. A laptop is practically useless if the keyboard malfunctions. You can get around this temporarily by using an external keyboard. But it’s definitely not a long-term solution. Replacing a laptop keyboard is not something you should attempt unless you have experience. It is a separate part that is held in place by screws and clips. The keyboard interfaces with the motherboard through a ribbon cable underneath. Improper disassembly can lead to other components being damaged. 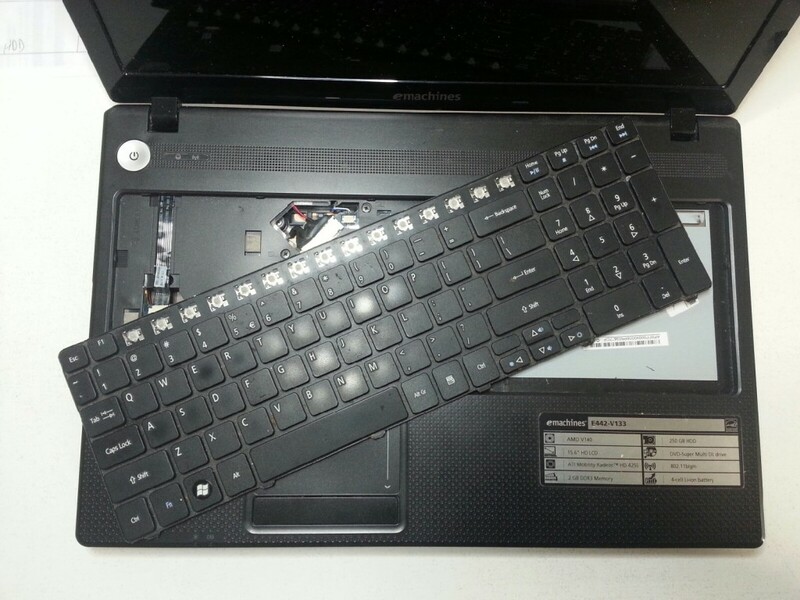 I had a customer who tried to remove the keyboard from his laptop and ended up damaging the power on/off switch. The one thing that will destroy your laptop keyboard is liquid spill. A lot of end users like to have their morning coffee or beverage right next to their computers. This is a big no-no. You should always keep drinks at least an arm’s length away. Or better yet, don’t have beverages nearby. 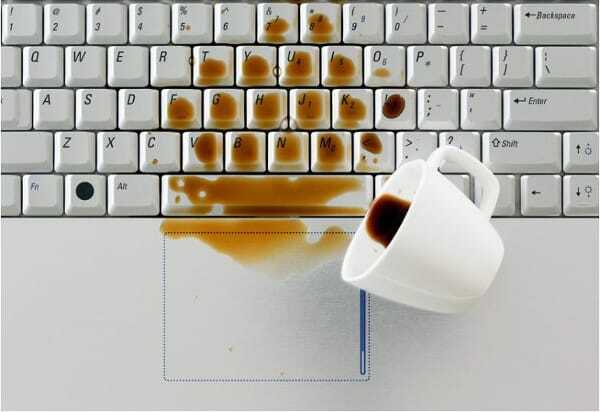 Liquid spill damage can do more harm than just the keyboard. It can also destroy your motherboard and other components. Here are some steps to take if you should have a liquid spill on your laptop keyboard. Disconnect power if using an A/C adapter and quickly do a hard shut down. Let it drain on a towel for at least 72 hours. After the waiting period blot out any excess liquid on keyboard and use Q-tips to clean around keys. Do not use a blow dryer. Instead point a fan so air flows through the laptop. If you spilled anything other than water, then have a technician inspect it.. Sugary drinks, wine, and coffee will leave behind a sticky residue. There are several reasons why a laptop keyboard will need to be replaced. If you need a laptop keyboard replacement, don’t hesitate to call me for a free quote.